This summer, Sean Casey and Julian Sparks have been training with Coach Leonard Brantley's Flight International Track Club. Sean has already qualified for the USA Track and Field Jr Olympics in both javelin and discus. Sean and Julian will both compete in the South Texas AAU Regional Track Championships, June 26-28 in Converse, TX., for a shot at qualifying for the National Championships to be held in Iowa in July. 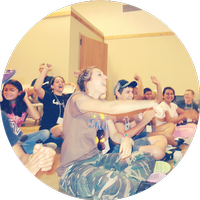 Designed specifically for incoming high school freshman throughout the Diocese of Austin, Cross Training's mission is to prepare Catholic teens for the rigors of high school by arming them with the tools of their faith. A typical day at Cross Training includes presentations, prayer, service projects, worship, and tons of social activities—in other words, a whole lot of fun! Cross Training will not only help prepare your incoming freshmen for the rigors of high school, it'll introduce your teens to the benefits of being part of a community of faith in your parish. All necessary information and forms to register your teens can be found on the Cross Training page. 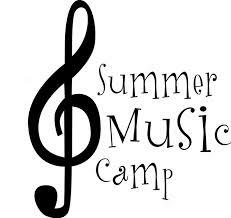 Don't miss the July 3 deadline! Looking for Savio's Next Mascot! Football season is approaching faster than we think! We are looking for someone who is full of school spirit and is willing to express this to support Savio! We need to find someone who will be committed to this role throughout football and basketball season. In this role you will learn a lot by being part of a team and will have a ton of fun! This year we are asking that our mascot attend camp in July and learn cheers and chants with the cheerleaders in preparation of the school year. 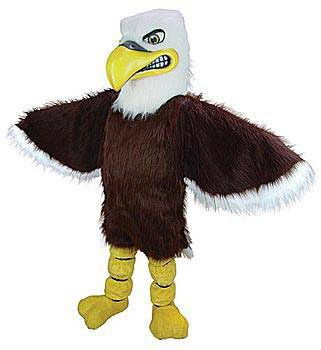 If you are interested in being a mascot, please contact Michelle Clay, the Cheerleading coach by emailing mclay@saviochs.org. The National Hispanic Institute at Austin team competed in the Great Debate that took place at Austin College in Sherman, TX from June 12-15. Although the Austin chapter did not win the tournament, they did extremely well! The team brought more than twenty people, and eight broke to the Sweet Sixteen, which is the best sixteen teams for each category of debate. Savio had four students participate and all four broke to the Sweet Sixteen in their specific categories. Andrea Chavez and Lukas Keen were partners and went all the way to the semifinals in the category of Cross Examination. Eden Desta and her partner also went to the semifinals, but in Mock Trial. Lastly, Christian Poblete and his partner went to the Sweet Sixteen in Mock Trial but lost their round and were unfortunately unable to move further. In addition, after Savio student Elena Pojman coached two of the Savio participants during the spring semester, she was able to help staff the debate working in logistics with the tournament directors. Congratulations to our Savio students for a great effort! Savio sent two squads from their Quiz Bowl team to Chicago for the Junior Varsity National Academic Championship on the weekend of June 7th thru 9th. Eleazar Camez, Grace Isakson, Daniel Jilek and Patrick Lahey made up the Savio "A" team, and George Hinkel, Nicholas Isakson, and Calvin Nazareth made up the Savio "B" team. The first day of the event was a tough one for Savio "B". They lost all three of their first day matches, including one to eventual overall national champion, Naperville North from Illinois. But the second day of the event was better as they won two of three matches. Their win-loss record did not qualify them for the playoffs, so their tournament ended after their final preliminary round match on Sunday. George Hinkel was the top scorer for the "B" team with 43.3 points per game. The Savio "A" squad had a great first day, going 3-0 and winning their matches by an average score of 318-113. Day Two got off to a rocky start with the Eagles losing a match to Naperville North. But they followed that with two wins, including a 325-135 victory over Riverside-Brookfield of Illinois. The Eagles' 5-1 record gave them the #2 seed for the playoff round. They faced Riverside-Brookfield again in the first playoff match. This time was very different from the preliminary round, and going into the last toss-up the score was tied at 245-245. Fortunately for the Eagles, Daniel Jilek buzzed in, correctly answered "the Battle of Tours" and Savio "A" won the match 260-245. This put them into the championship match of the Chicago phase of the tournament. Unfortunately their opponent was juggernaut Naperville North. The Eagles put up a good fight, but the Naperville squad was just too strong. 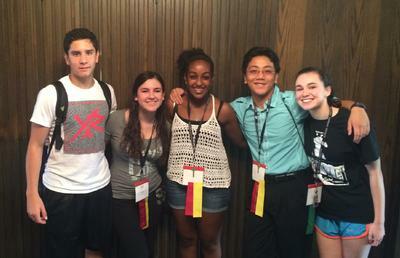 The record-setting Naperville team took first place in the Chicago phase with a perfect 7-0 record. By virtue of their stellar statistical average, they claimed the overall national title, beating out Washington DC phase winner, Briarcliff High School from New York. New Orleans phase winner Booker T. Washington from Tulsa, Oklahoma claimed 3rd place overall. Though disappointed to lose the Chicago championship match, the Eagles held their heads high, claiming 2nd place in the Chicago phase. After tallying all stats from the Chicago, Washington DC and New Orleans phases the Eagle "A" team ended up as the 4th place team in the overall JV national standings. It truly was a strong finish to a terrific second season of play for Savio Quiz Bowl. Daniel Jilek was the leading scorer for the "A" squad with 62.5 points per game. The team will meet for several practices over the summer to stay sharp for next year. Five players will be attending Quiz Bowl camp in College Station at the end of July. The team will be looking for new players next year, too. Any Savio student is welcome to join. 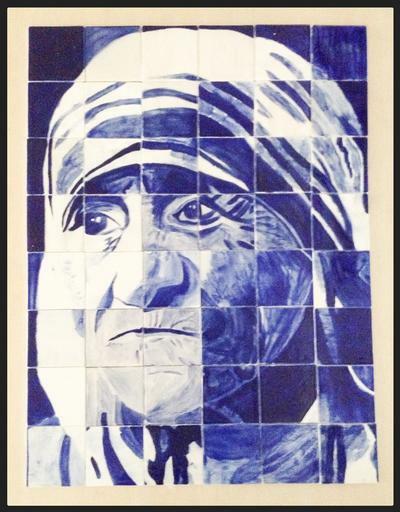 This portrait of Blessed Mother Teresa was completed on June 3, 2014 by The Savio Art Club. The students met weekly after school to individually glaze the 48 ceramic tiles. The piece will be framed this summer and hung in the building - joining St. John Paul II in which The Savio Art Club completed last spring. Our goal is to find an artistic way to represent each of the 16 Savio Family Saints in the coming years.